Owner Occupant purchasers utilizing FHA insured financing (including the FHA 203(k) Rehabilitation Program) could get this home for as little as $100 down. 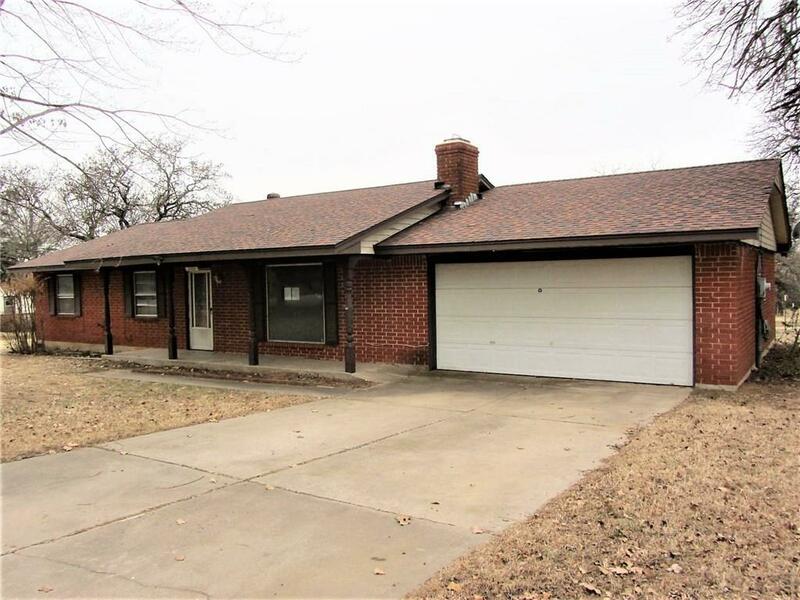 Spacious home on a small acreage within walking distance to Carl Albert Schools sitting on a 2 acre lot with a 2-car attached garage and a nice covered patio. Inside features a fireplace in the living room, ceiling fans, a laundry room, built-in cabinetry in the dining room, 2 full bathrooms, and a big kitchen with lots of counter space. Buyer(s) to verify all information at their own expense including taxes, school districts, property condition and a survey if choosing to determine the exact acreage and/or property lines. HUD homes are sold in as-is condition. Buyer inspections are for information only. No repairs will be made by any party for any reason prior to closing. Exempt from disclosures/disclaimers. Listing office does not have any information on property condition, title history, or any needed repairs.